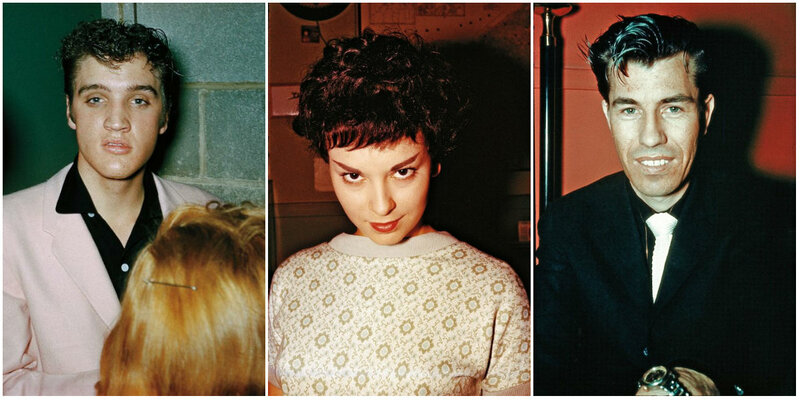 Discovered by musician Chris Kennedy in 2006, Tommy Edwards’ candid photographs capture the birth of rock ‘n’ roll at its flashpoint: Elvis Presley while he was still dangerous; a raw and incomplete Chuck Berry before his star ascended; and some beady-eyed, high-voiced kid named Roy Orbison. It wasn’t just the architects of rock music whom Edwards had in his viewfinder. There were also pop and country music s biggest stars, mysterious, unknown hopefuls, and vulnerable, deglamourized Hollywood celebrities. Edwards’ passion for photography immortalized hundreds of pioneers of rock ‘n’ roll and pop culture in the radio studio, a setting that was often unseen. His photos offer a rare look behind a closed door. “I located Tommy’s nephew in Wisconsin, who thought he only had a handful of 35mm Ektachrome slides his uncle had taken. He called me one night to say he found nearly 1,800 more stashed away in some boxes, he forgot he had them. I went to Wisconsin, saw the collection, thought the photographs were important and beautiful, and decided to do a book. I’m still looking for the Pied Piper. 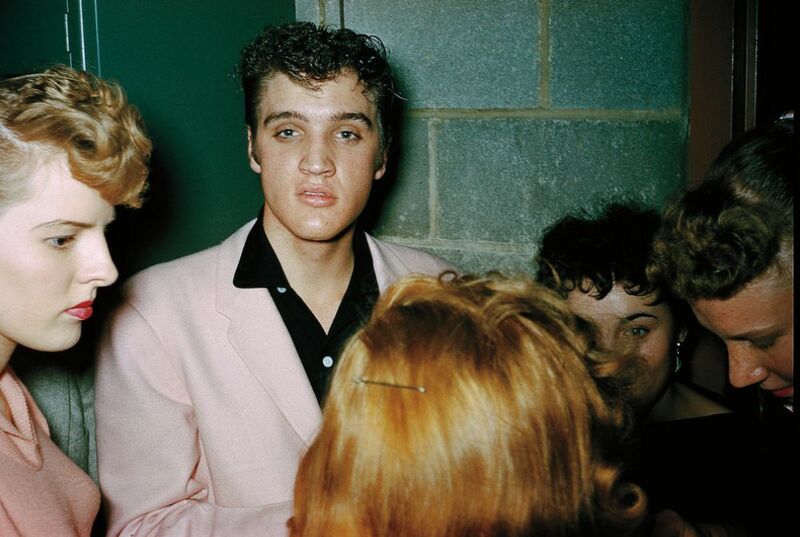 Elvis Presley signing autographs backstage at St. Michael’s Hall in Broadview Heights, October 20, 1955. 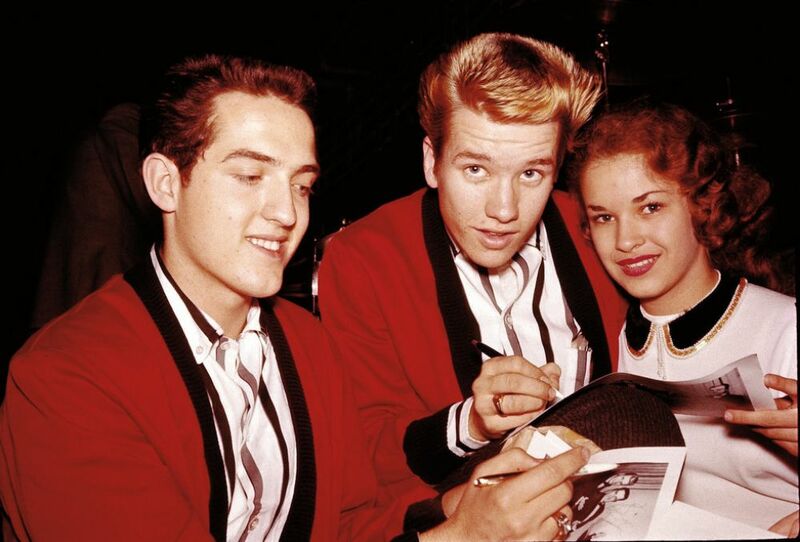 In December of 1957, the Casuals were fronted by a couple of 17-year-olds from Nashville named Richard Williams (left) and Buzz Cason (right). Here the young stars sign autographs for fans. 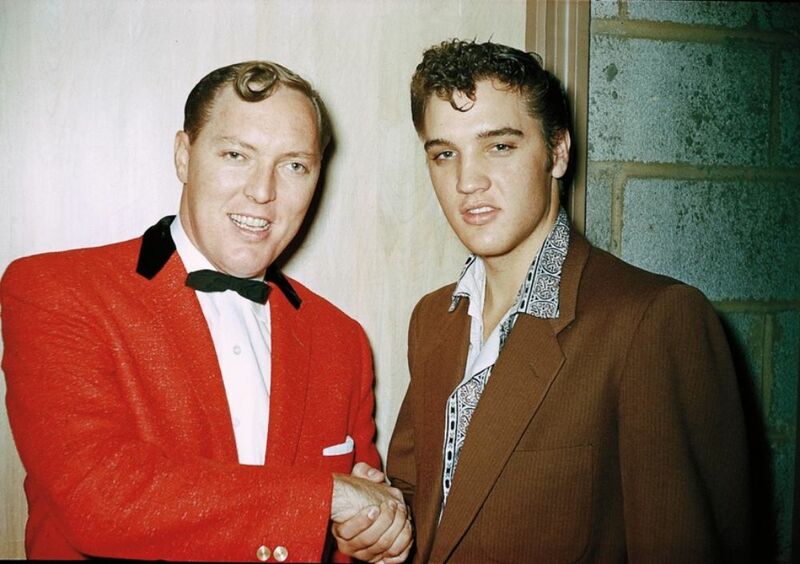 The renowned photo of Elvis Presley and Bill “Rock Around the Clock” Haley, snapped by deejay Tommy Edwards on October 20, 1955, during the filming of the inexplicably lost documentary, The Pied Piper of Cleveland. The Big Bopper, aka J. P. Richardson, Jr., hams it up for Cleveland deejay Tommy Edwards’ camera in August 1958. Richardson’s then-latest Mercy single, Chantilly Lace, was destined for Top Ten status on the pop charts.